(SA) Interim Budget 2009 Review: Fiscal Deficit Swells to 8% to the GDP. Please Read the latest report on India Budget 2009. India’s Fiscal Deficit swells to 8 per cent of the annual gross domestic product, govt spending likely to rise and tax rate cut are less likely. However, Govt has reduced Excise Duty and Service Tax to shore-up the economy. 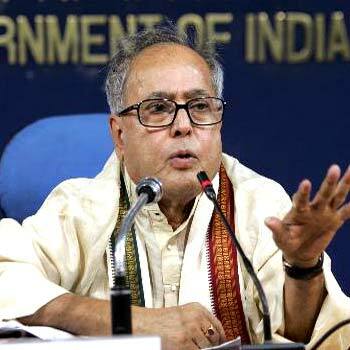 Then Minister of External Affairs – Mr Pranab Mukherjee, who was in charge for Finance Ministry also for a while, has announced the Pre-Election Interim Budget 2009 for the Fiscal 2009-10. Markets and the corporate world has anticipated lot of changes and reframing of policies to weather the current global economic downturn however, the Interim Budget has banished all the factors to support the Indian economy. Interestingly, he has pointed out that the major policy announcement would take place post election in the Regular announcement of the General Budget which was held in May, 2009. In his budget speech, he merely stressed upon the Rural Development by expanding the Rural Infrastructure Development Fund (RIDF) from Rs. 5,500 Crores ($1.13 Billion) for the year 2003-04 to Rs. 14,000 Crores ($2.87 Billion) for the year 2008-09. Apart from that, he has discussed, exactly what the UPA Govt have did in the last 5 years of their tenure. On the most important Financial and Tax reforms front, he has left this portion for the Regular Budget announcement. He said the, tax rates must fall in these stressful economic times, while the majority of industry has expected positive changes on the tax front and the ailing Real Estate and Infrastructure sectors had anticipated for support from the Government. Now, the RBI is the final ray of hope until the General Elections in a way of reduction in policy rates by at least 100 bps. The total cost of those subsidies (including bonds) and other packages is Rs. 223,525 Crores ($45.9 Billion) which means, the it works out to 4.4% of the India’s GDP. If the Govt adds the reduction in tax collections, it could cost 1 per cent of GDP. According to the Economic Advisory Council (EAC), the Fiscal Deficit in the Union Budget had been placed at 2.5% to which, the addition of 4.4% and 1% to this number would definitely raise the total to nearly 8% of the GDP. Credit Rating agencies like Standard & Poor’s (S&P), Moody’s and Fitch are closely watching the India’s fiscal shortfall and this would definitely force them to downgrade the India’s Sovereign Debt rating. On Tue, Feb 24, 2009 S&P has reaffirmed the India’s rating to BBB-, means downgrading India from “Stable” to “Negative” outlook. What would happen, if the Fiscal Deficit rises? It means, that the Government will borrow extra to finance their expenditures (planned or non-planned). We won’t evade the higher monetary inflation. If the Government borrows extra for its spending, then the level of money supply will rise because it will force the Reserve Bank of India (RBI) to print more money – which would lead to the higher inflation at least in the medium term. Currently, the India’s national debt is 59% of the annual gross domestic product (Central and State Government combined). At VMW, we have earlier discussed about the deflation in the Developed Economy, however we’ve ruled out the Headline Deflation in India. Maybe the short term, Government borrowing will prevent the further fall in inflation. There is also a possibility of higher interest rates in the long run. As a result, there is a limited room for the Government to ramp up the spending without causing the structural harm to the economy. That’s why the Government is reluctant to cut tax rates and in the near future, Government may also consider reducing subsidy burden on Oil and Fertiliser by 1.6% of the GDP and this Interim Budget proves merely a performance review of the Government. Please Note: All figures in US Dollar (USD) terms are converted at Indian Rupee (INR) 48.70 aganist the USD. RBI Cuts Repo Rate By 100 Bps. Should The RBI Ease Interest Rates Further. The Reserve Bank of India Logo. Since the year 2004, RBI cuts interest rate for the first time by 100 bps to 8%. RBI easing monetary policy to fight against the economic slowdown and to improve liquidity so that, the Indian Banking System functions smoothly. The main reason to cut Repo rate (Repo Rate is the rate at which, the RBI lends the money to the banks) is the concerns about the economic growth. Since the global economic meltdown, everybody is downgrading the Indian economic growth forecast from earlier 8.5% forecast to 6.5% and 7%. Indeed, the Indian economy is facing the slowdown to certain extent due to US and Europe slowdown. US consumers, the economic engine for the Asian economy, has reduced their spendings due to non-availability of credit is now affecting the growth of the Asian region particularly Japan and China are highly vulnerable. The recent economic data, showing the some bit slowdown is the major cause of concern. India’s industrial production unexpectedly decline to 2% in August 2008. The weakness in industrial activity was driven by manufacturing (-3.0%) and to some extent by the Electricity sector (-0.8%). The headline IP growth slowed to -0.1% as compared to the peak of 8.5% in April this year. On the trade side, India’s Balance of Payment (BoP) surplus shrinks as current account deficit widens and private capital inflows fall. 2Q08 CA deficit widens to all time high of $10.7 billion (3.6% of GDP). The trade deficit also widen to $31.6 billion compared to $20.7 billion in 2nd quarter last year. The overall BoP surplus has shrunk to $2.2 billion (0.8% of GDP) in 2Q08. In the quarters ahead, weaker global growth and continued strenght in import will possibly widens the CA deficit further. Now the question is, should the RBI cut interest rates further so that the growth of the Indian economy sustains at the current growth rate? The answer to this question to be revealed in its own policy meeting, which is on Friday 24th Oct 2008. Altogether, the India’s economic growth is highly sophisticated to the global economic movement. Going forward, the economy is highly complex as the new US President will be elected. If the US presidential candidate Barack Obama elected as the new US President, then of course he reluctant to adopt the Bush’s policies. He will made some changes towards the foreign policies and economic policies. So, in the next three or months, we’ll see some dramatic move by the Global leaders and how they handle this dire situation. See more on the recent slashes in Repo Rate and Reverse Repo Rate.